Law firm Ashfords LLP is delighted to announce the appointment of one of its partners as a Deputy District Judge. Jason Squire, a Partner in the firm’s Dispute Resolution Team, was appointed to the Western Circuit on 13 March. Jason trained as a solicitor with Bevan Ashford and qualified in 1997 into the firm’s Litigation department. In 2005, following the creation of Ashfords, Jason became a Partner with the firm. He currently works from Ashfords’ Tiverton office, having previously headed up the firm’s Taunton office for several years. Jason’s appointment as a Deputy District Judge recognises his many years of experience of County Court and High Court litigation acting for both claimants and defendants in a wide range of civil cases. 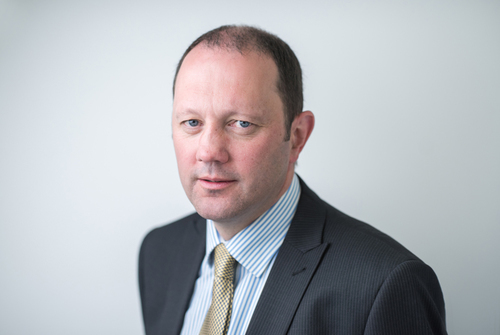 In recent years Jason has developed specialisms in complex commercial cases and also medical negligence litigation. His role as a Deputy District Judge is a part time one and he will continue with his work for clients. Ashfords a national provider of legal, professional and regulatory services. It has a turnover of £42.2 million, with six offices, 75 partners and 448 staff. The firm offers a positive, rewarding and fair working environment and are advocates of the many routes available to develop a career in Law. This press release was distributed by ResponseSource Press Release Wire on behalf of Ashfords LLP in the following categories: Public Sector, Third Sector & Legal, for more information visit https://pressreleasewire.responsesource.com/about.